Oh Wine, how much I love thee- which is why I said "sign me up!" when the opportunity to go wine tasting came up. Aall In Limo graciously drove a few of us bloggers in their super cool limo bus to a couple of wineries in Temecula (about 45 minutes away from San Diego). What to wear wine tasting? Flat and/or comfortable shoes are a must because there is walking during the tours and standing during the tastings. When you are walking the vineyards, you may be walking in dirt, therefore you want to steer clear of wearing heels. I recommend layering because part of the tour may be outdoors and also, let's be honest, you may get warm when consuming alcoholic beverages, so layering on/off is essential. 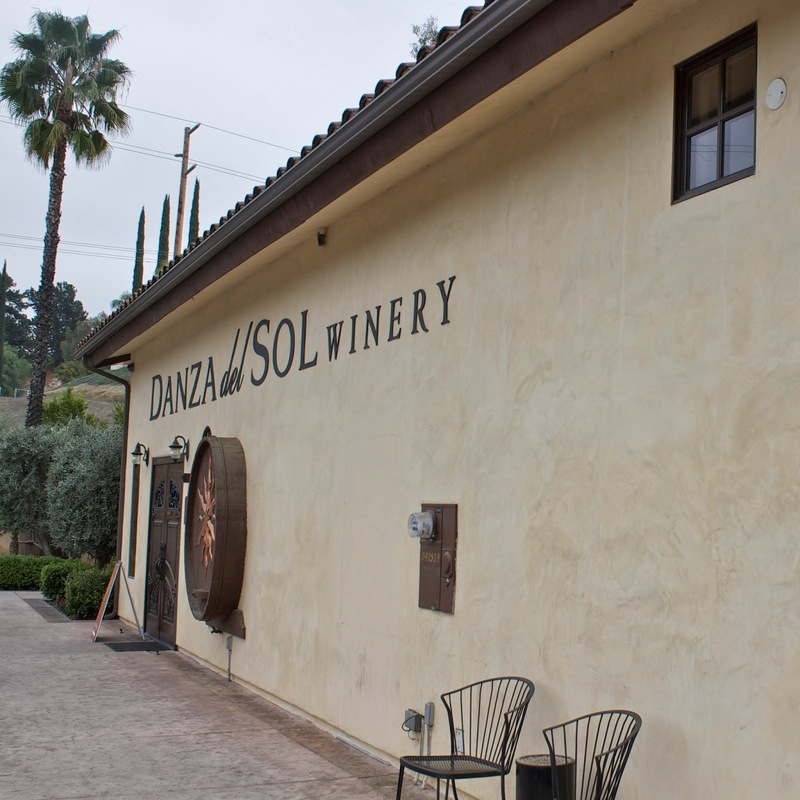 First Stop: Danza del Sol Winery who's representative Laura gave us a tour of the grounds from the vineyards to the fermenting room to the wine tasting room- we got great insight into their wine making process. 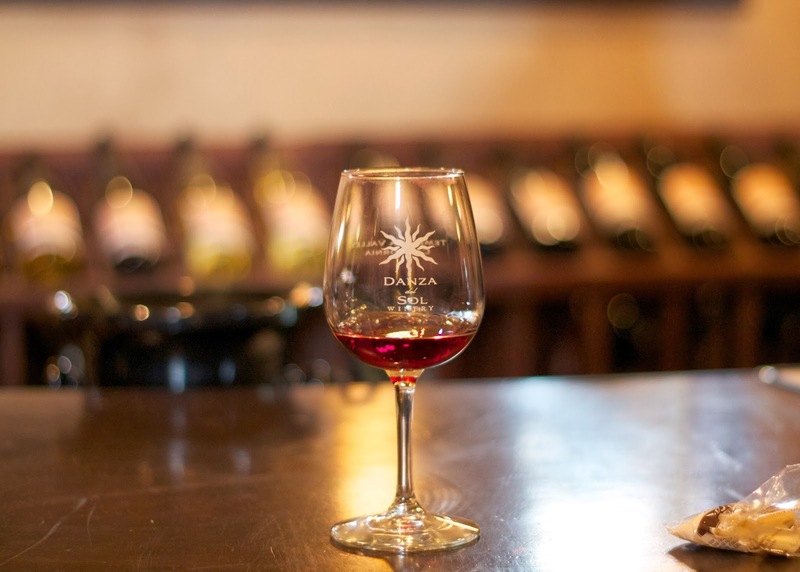 In the beautiful and rustic tasting room, we tasted our way through so many delicious wines. My standout favorite was their Orange Muscat with pronounced fruity flavors unlike anything I have tasted before! I highly recommend that one if you are into sweet wines like I am. 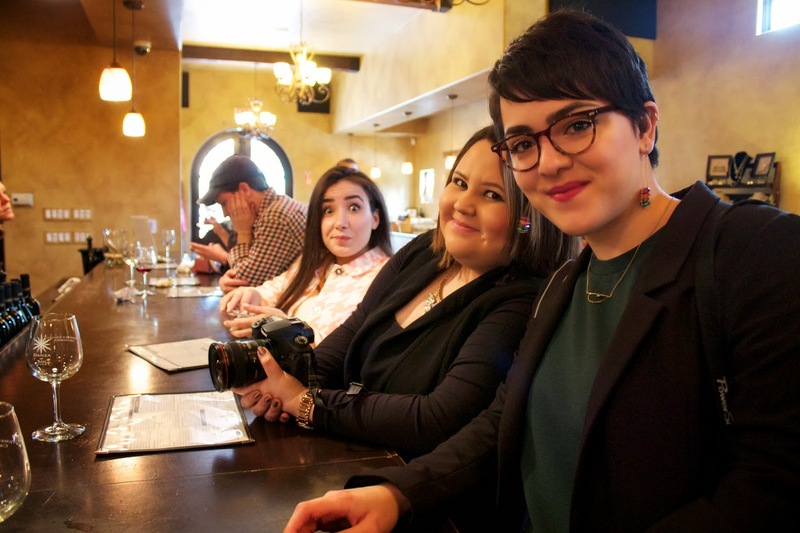 My beautiful Blogger and Youtuber friends: Monse, Ale and Laura. Second Stop: Miramonte Winery known for their sangria and beautiful terrace, we decided to take advantage of their vineyards to serve as the backdrop for our outfit pictures. From there we rode back home having made new blogger friends and having built up an appetite! Check out Laura's video diary of the experience here. Special thanks to Aall in Limos for driving us with great service. wow what a nice look! this jacket is amazing! Looks like fun! Perfectly styled for the occasion. Sounds like a fun experience! 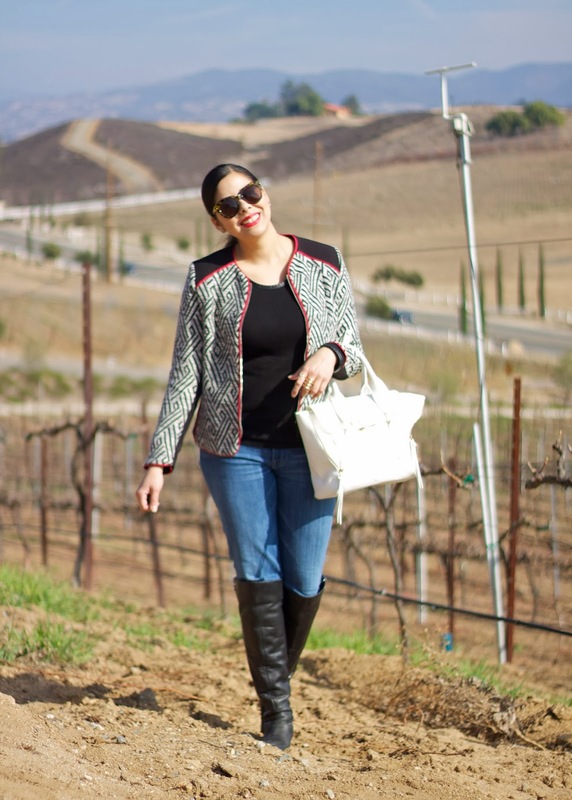 Think you picked the perfect look, the jacket is so chic and the boots seem super comfy and dirt friendly so there you go, looking chic and ready to have some good wine, glad you enjoyed it! Pauu, tu blog siempre es una parada obligatoria, me encanta ver tus looks y tus andares!!! La falda de San Valentin que ya has enseñado antes es un amor!!!!!! te queda muy bien. Ya estoy por aquí de nuevo tras una temporadilla ausente debido a los estudios. adore wine tasting! 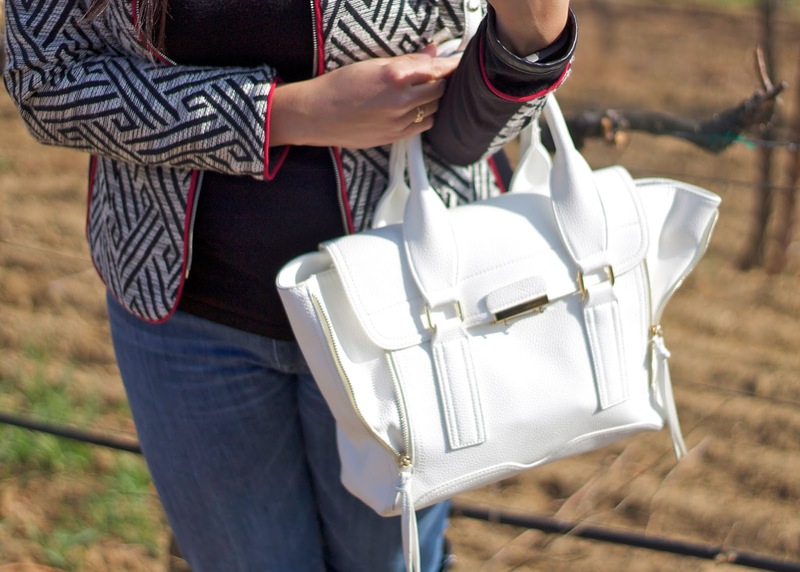 gorg jacket! loooove that jacket!! wow! xO! i'm in love with your jacket dear!! !